Webster Groves has been an awesome clinical site. I could tell the first day I came in for observational hours last year. Our preceptor, Sean Wright ATC, promotes such a learning environment with a hands-on approach. We are given a high amount of privilege and responsibility, so we get a really good feel of life as an athletic trainer. Usually, we get to assess the athletes first, and we have our chance to perform a full examination. Afterwards, whether we know what the issue is or if we have questions, Sean comes over and either confirms our diagnosis or helps us out. It is especially nice that our preceptor always goes the extra mile to ensure that we are very thorough. Every time I think I have come to a diagnosis and tell Sean, he always asks if I have cleared additional structures which I might not have thought to assess initially. 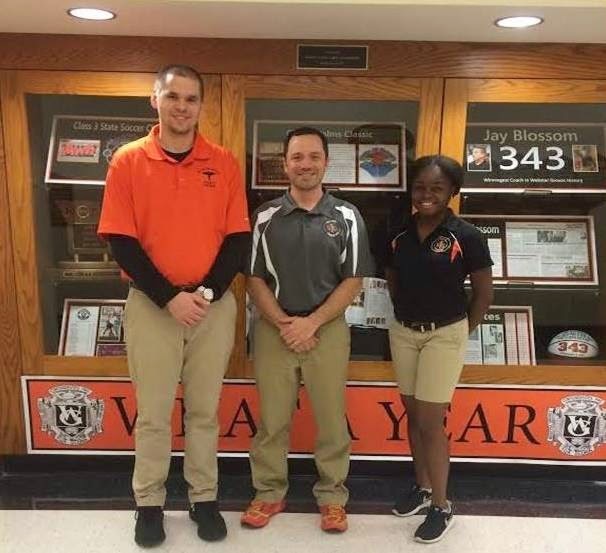 My experience at Webster Groves High School with Sean Wright ATC has been both exciting and challenging. I have been able to take the lead with evaluations, rehabilitation programs and documentation. 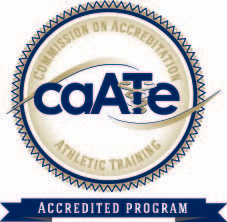 The initiative that I take each day when helping an athlete has increased my confidence as an athletic training student and has allowed me to build trust with the athletes in order to provide care for them. Sean is always there to answer questions when I get hung up while treating an athlete but reminds me that I must use critical thinking to understand with I am doing and to explain what I will be doing with the athlete. I am very thankful for the opportunity to work with Sean because it has been a dynamic experience and one full of growth. I hope to continue to grow and improve as an athletic training student as I learn new techniques and skills each day.